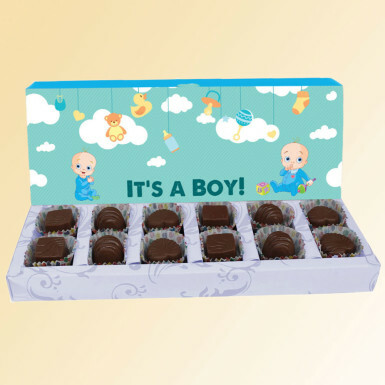 With the sweetness of chocolates, celebrate the special moment of the birth of baby boy. Share such great news with your close ones by gifting them this box of chocolates. This sweet delight plays a vital role to make the moment, a beautiful memory for you. The box is full of chocolate truffles that tastes so yummy that everyone will going to love it. With the ease of a click, you can place your order at Winni and get it delivered at your desirable place.